Some of the most evident expressions of global climate change have been found in Antarctica and the Southern Ocean. Changes to the environment, including modifications in sea ice extent and concentration, have been associated with variations in ecosystems (including changes in seabird and krill abundance in particular areas) and biogeochemical processes (such as the role of the Southern Ocean as a sink for anthropogenic CO2). Understanding the processes affecting Southern Ocean ecosystems is vital to improve the ability of scientists to predict such changes (for the region, and indeed, globally) and to enable policymakers to make sound management decisions for this important ocean. The key is to integrate research on ecosystems, biogeochemistry and climate at the circumpolar scale. Bringing researchers together to cross traditional scientific boundaries and integrate their research is exactly what ICED is striving to accomplish. ICED is the Southern Ocean programme of an IGBP-SCOR project called IMBER (Integrated Marine Biogeochemistry and Ecosystem Research). 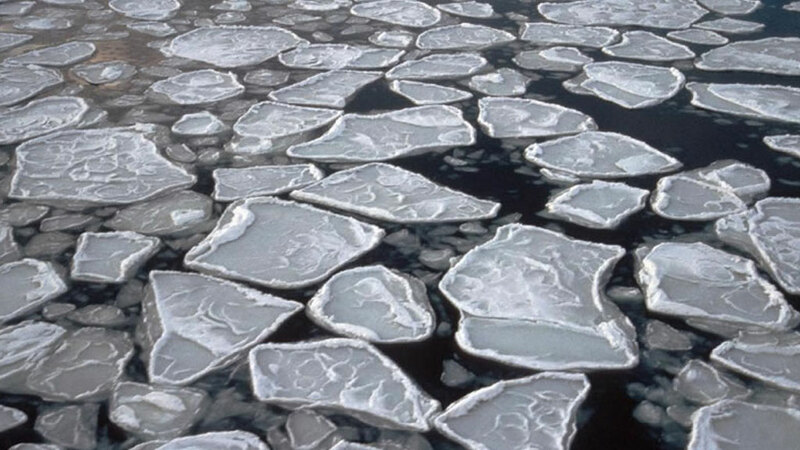 Over the space of a decade (2008-18), ICED will address the major ecological challenges arising as a result of climate and human-driven changes in the Southern Ocean. With participants from over 30 countries currently involved, ICED is working to improve models predicting change in Southern Ocean ecosystems, coordinate fieldwork, collate relevant datasets and generate linkages between biologists, oceanographers, biogeochemists, climatologists and fisheries scientists, working in the Southern Ocean and around the world. How ecosystem structure and dynamics should be incorporated into management strategies for the sustainable exploitation of living resources such as Antarctic krill (Euphausia superba), Patagonian toothfish (Dissostichus elaginoides) and mackerel icefish (Champsocephalus gunnari). To do this, the ICED initiative is working on developing models that predict future ecosystem dynamics. The models will take into account oceanographic circulation, biogeochemical cycles and food web dynamics using datasets researchers from various disciplines have collected over the past century as well as new data as it becomes available. This is why ICED activities are also focused on synthesising historical and new data in addition to coordinating and developing fieldwork in the Southern Ocean. These models will provide a clearer picture of how Southern Ocean ecosystems function on regional and circumpolar scales and how they will change over different time scales. Whilst there are numerous datasets available, there are still a lot of gaps in data collected in the Southern Ocean. Collecting data in this part of the world is expensive and logistically challenging, as sea ice and weather conditions can make it difficult or impossible to reach certain areas. In order to fill in some of these gaps, ICED is working on better integrating field activities between various research groups working in the Southern Ocean and encouraging them to sample in areas where little data is currently available whenever possible. Given that ICED scientists are from numerous countries and working in different areas of the Antarctic, ICED will be holding regular workshops on Model Development, Historical Data Synthesis, and Fieldwork Coordination & Development throughout the duration of the programme. The workshops will provide fora for scientists to come together and collate their data, devise new analytical approaches and present results, summaries and updates on activities being undertaken within ICED to create an unparalled synthesis of knowledge from different geographical areas and expertise. Two such workshops have already proved useful in the early stages of ICED. The first was the Southern Ocean Food Web Modelling workshop, which was held at Old Dominion University in Norfolk, Virginia in April 2008. This succeeded in bringing together a unique group of multidisciplinary experts to identify gaps in current knowledge of Southern Ocean food webs and food web modelling – an important first step for model development and in improving the planning and coordination of future research activities. The second was a Southern Ocean Biogeochemistry and Ecosystem Research Workshop held at Princeton University in New Jersey. The overall objective of this Scoping Workshop was to facilitate interaction between the physical, biogeochemical, and ecosystem research communities to begin to resolve current limitations, gaps and discrepancies in our understanding and prediction of the Southern Ocean ecosystems, biogeochemical cycles and carbon uptake. ICED is convening a scientific session at the International Polar Year Conference (Oslo, June 2010) on “Ecosystems of the Southern Ocean” and upcoming workshops include one later this year on Global Change in Polar Systems. The ICED International Programme Office is currently sited at the British Antarctic Survey (BAS). The organization encourages scientists working on Southern Ocean ecosystems or related fields to become involved in ICED and join this new community of scientists as they develop exciting and innovative approaches in Southern Ocean research.